love, laurie: another little sneak peek . . .
another little sneak peek . 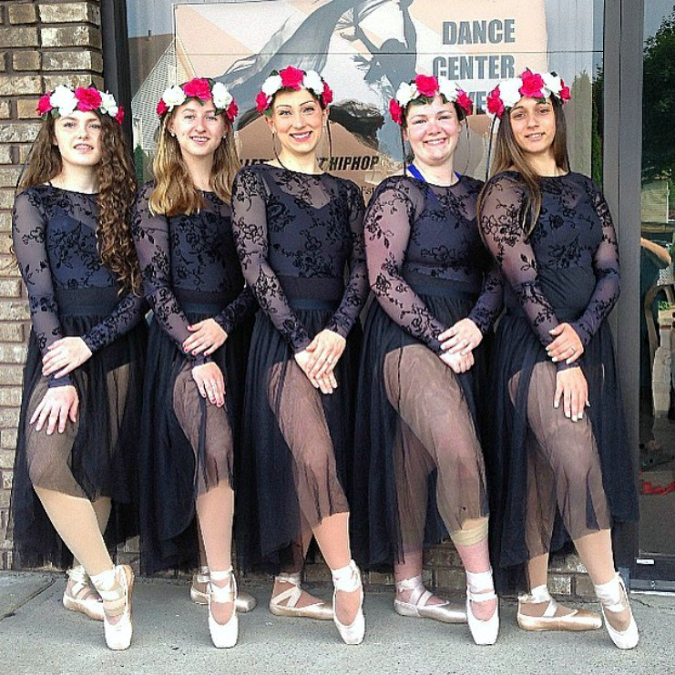 . .
yesterday i shared a photo from rehearsal this week for my dance studio's recital which is this weekend. we're getting closer to the show and we're all really excited now that it is just a few days away. 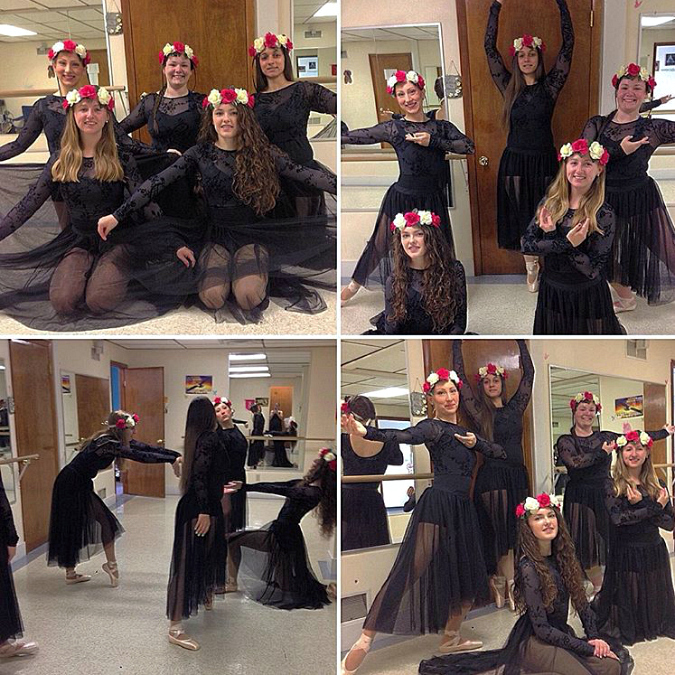 here are a few behind-the-scenes photos from this week which our director snapped on her phone when we were trying on costumes for one of our dances. in other exciting news, we just learned yesterday that our dance studio is going to be on tv tomorrow! we will be on a segment called "your community live" on wbre/wyou. (if you want to watch the segment, it will be on at 4:50pm eastern standard time tomorrow.) as soon as the tv station posts the segment on their website, i'll be sure share it. I am excited to see the show. Costumes are nice. That's pretty cool that your studio will be on tv. I hope I am able to find it on the wbre website later on since we don't get that station.